What Is the Port Arthur Icon of the Mother of God? 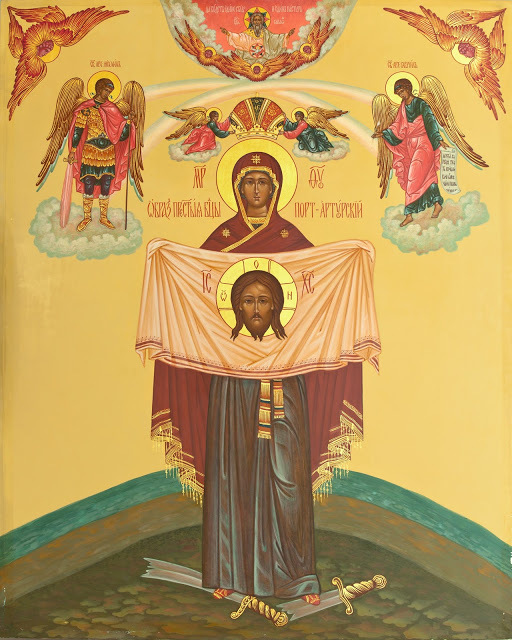 Port Arthur icon of the Mother of God, alternatively known as The Triumph of Theotokos, is the only known image of the Most Pure Virgin where She holds a cloth with the Image of Christ Not-Made-By-Hands in Her hands. 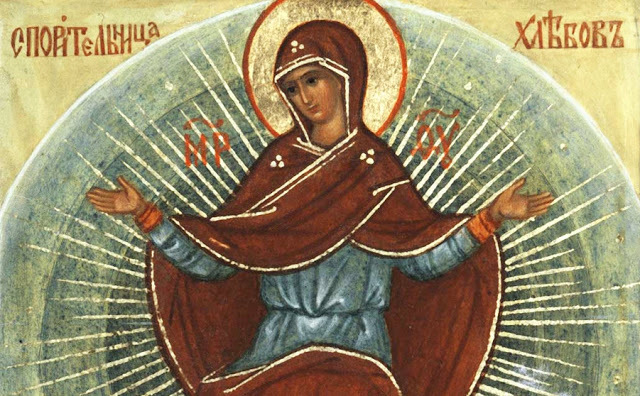 This icon is also unique because it was the first image of the Most Holy Theotokos to be revealed to Christians in the 20th century. A sailor named Theodore Katansky who visited Kiev Caves Lavra in 1903 told other believers about it. He had been a hero of the defense of Sevastopol during the Crimean War. 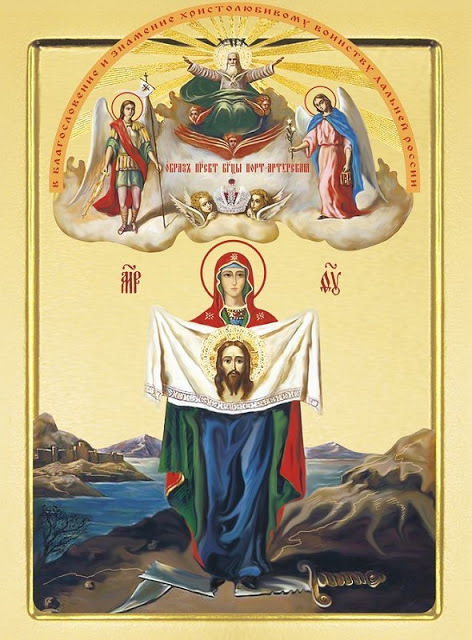 The old sailor related that he had seen the Mother of God with an image of Christ Not-Made-By-Hands in a dream after praying for Russian sailors who served in the Far East. The Blessed Virgin appeared to him surrounded by Angels and saints. 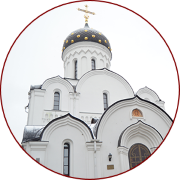 Our Lady comforted the sailor and told him that Russia was soon to enter into a devastating and difficult war, full of losses and troubles, along its coastal borders. That was why She ordered to have Her icon painted and sent to Port Arthur. 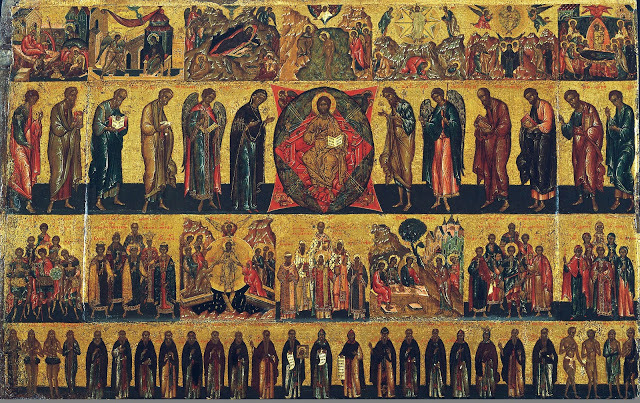 Brought to the walls of the distant city and naval base, the holy image was meant to help the Orthodox triumph over the pagans and inspire Russian soldiers and sailors to fight bravely. The icon was sent to Saint Petersburg. Unfortunately, military officials in the capital slowed down its delivery to the fortress. The image arrived in the Far East when Port Arthur had already been blocked by the Japanese. After a short stay in Vladivostok, it was sent to General Kuropatkin’s headquarters. 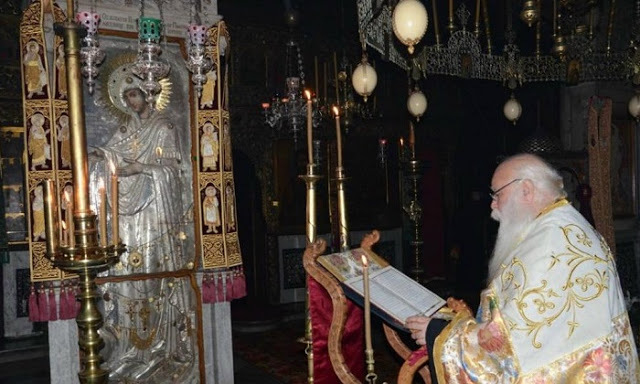 Due to the hasty retreat, Port Arthur icon and several other holy objects were lost. The image was miraculously re-discovered in 1998. 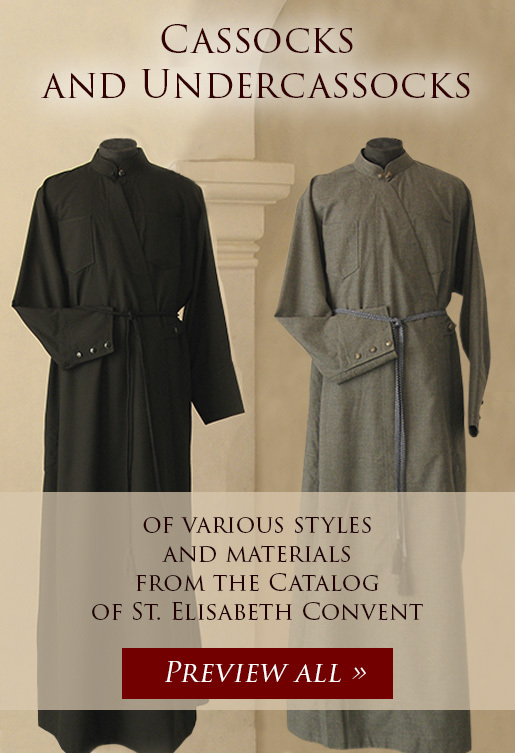 It was bought by a group of Russian pilgrims in an antiques shop in Jerusalem on Via Dolorosa. It remains unclear how and when it got there. The wonder-working icon returned to Vladivostok after restoration. It stays in the Cathedral in honor of Holy Protection of the Mother of God in this Russian city.